Militaria was one category which performed particularly well at the Works of Art, Medals, Militaria & Furniture auction at McTear’s on Friday 12 October. One highlight was an attractive pair of mid-19th-century percussion target pistols by G. Nadel of Baden (lot 1668). This handsome pair sported carved burr walnut fullstocks and were contained in a fitted walnut case along with relevant accessories. This lot reached a hammer price of £3,200. 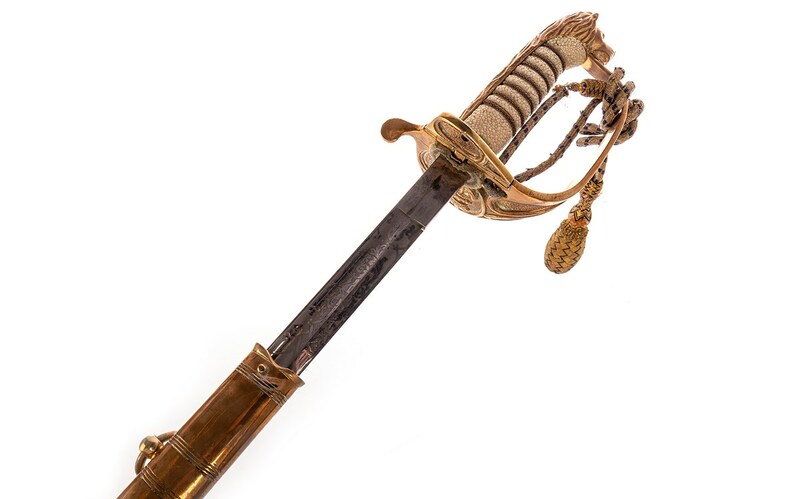 Another interesting piece of antique weaponry, lot 1656 featured an impressive George VI naval dress sword, in original brass and leather scabbard. This sword, with crossguard bearing maker's mark W.F. Baulch, soared past its auction estimate, selling for £220 to a buyer online. 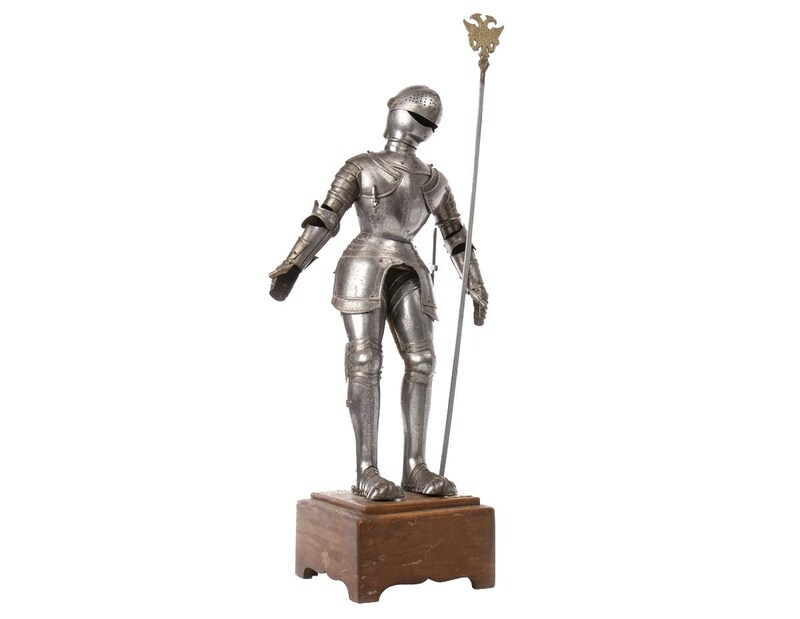 An especially popular lot this morning was a miniature suit of armour by Kretly of Paris (lot 1669). This stunning suit attracted a huge amount of interest both within Britain and overseas. After fierce competition in the room and online, the lot eventually sold to a buyer based in the United States for an impressive £1,000. 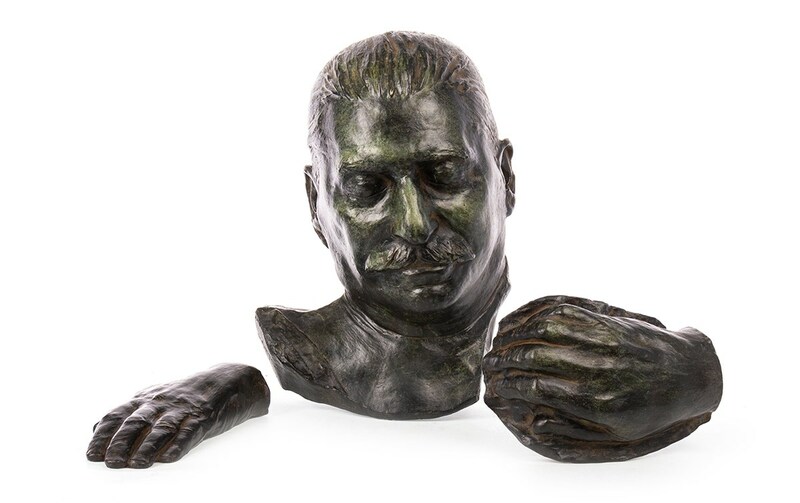 Always boasting a diverse array of objects, another interesting lot to feature in this auction was a death mask of infamous military leader Joseph Stalin, accompanied by casts of his hands. This lot exceeded its auction estimate to achieve a hammer price of £950.